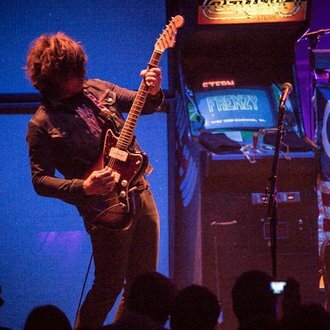 Ryan Adams has made his first live appearance to perform from his covers album of Taylor Swift's 1989. Check it out below. The idea of a, so called, serious artist covering a pop stars work has sent the media into a spin - and rightly so, it's awesome. There are those that believe Adam’s re-working has elevated Taylor’ pop anthems to a more credible level. On the other hand, many have protested at the idea, arguing Taylor’s value as an artist in her own right. We love it, though. Either way, both musicians have been been a hot topic, and the covers continue. Swift fan, Christopher Tin, also released an orchestral version of ‘Bad Blood’ to Swift’s delight. The Daily show is a large platform for Adams to premiere his live interpretations of his collection of covers. The viewing figures may be even higher this week as it has seen the debut of Trevor Noah who replaces Jon Stewart after eight years. Adams performed ‘Bad blood’, ‘Blank Space’ and ’Style' from the record with a full band. Visually, it was as much of a departure from Swift’s shows as it is musically.